We can have a garden in an outdoor place but don’t take care of the design or we can have a garden and always take care of the decor. The choice is ours! That’s why there are two types of people, those who pay attention to the garden and the second group is, you already know, those who don’t pay attention to the garden. 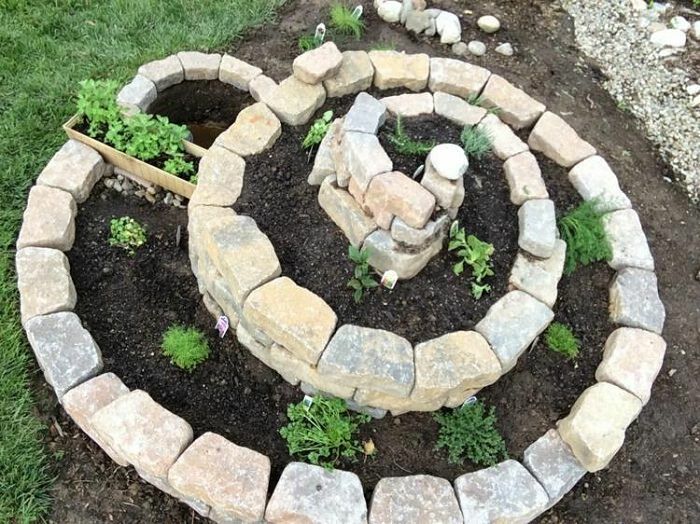 In this post we will show you different ways about how to make a beautiful spiral garden, to save space in outdoors and to have a nice garden. 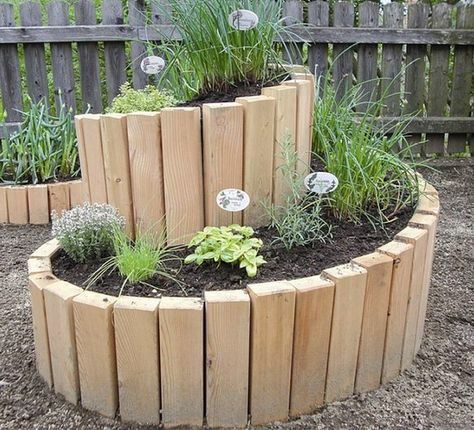 We can have a benefits f the spiral garden and that is that we can have different types of herbs in such a small space, also the spiral garden allows to any herb to grow according to the needs of the herb. If you are a creative person and you wish to have more similar ideas like this, you can also check this post about how to make gardening inside the terra cotta pots, something so amazing and cooler than a spiral garden. The first idea will show you how will look the final project of the spiral garden in outdoor place. If you have enough free time, please follow the link below the photo here and learn how to make this craft for your yard place. Or, if you don’t have time, just send the link of the post to your friend and inspire them too! 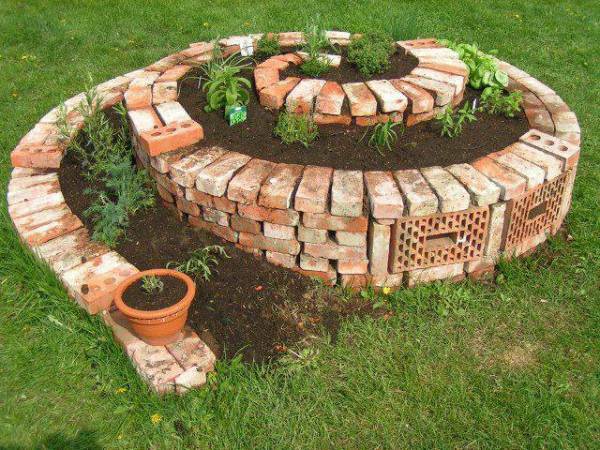 The other material to build this type of garden is to use old bricks that you have in some corner of the garden. This is how you can build it, like is shown in the photo, and it only stays to keep it clean, to water the herbs and to love it. 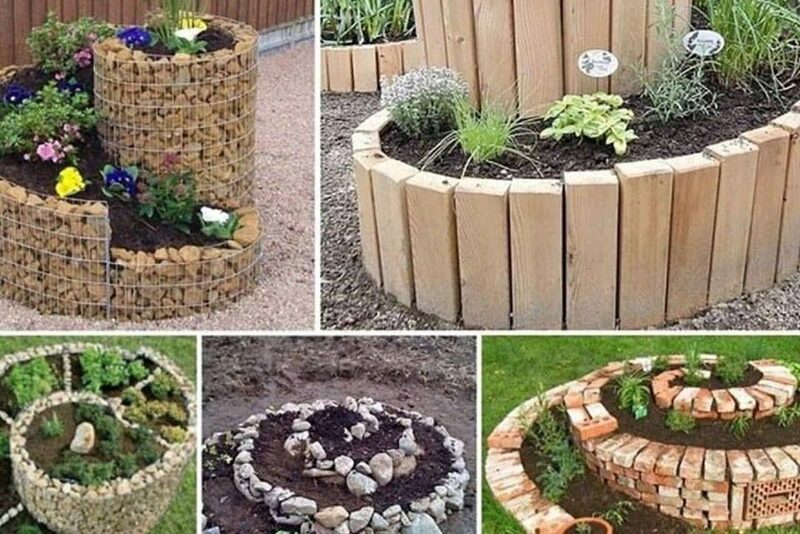 If you don’t want to use rocks, pebbles or old bricks to build this garden, you can use wooden sticks, wood tree stumps and to make it anyway. 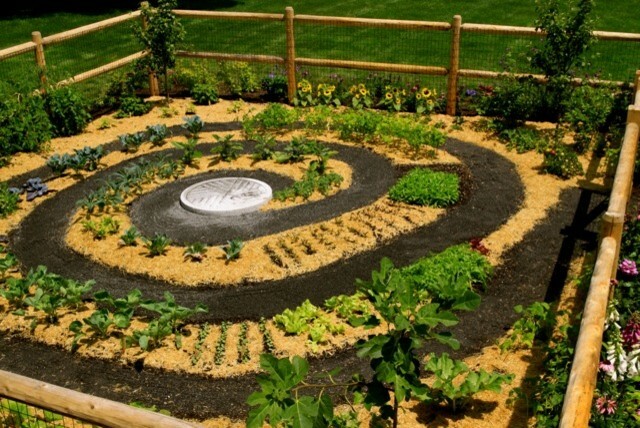 Follow this link below the photo to see other cool spiral gardens. 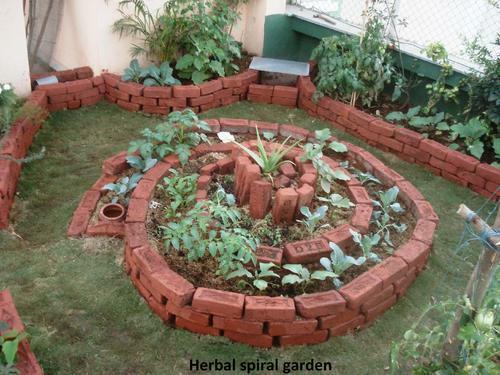 We have again spiral garden made of bricks but this time as you can see the garden continues and the garden edging is also made with the same material – red bricks. I love this idea. You don’t strictly need to choose special stones and rocks that you will use for building a garden at outdoor place. 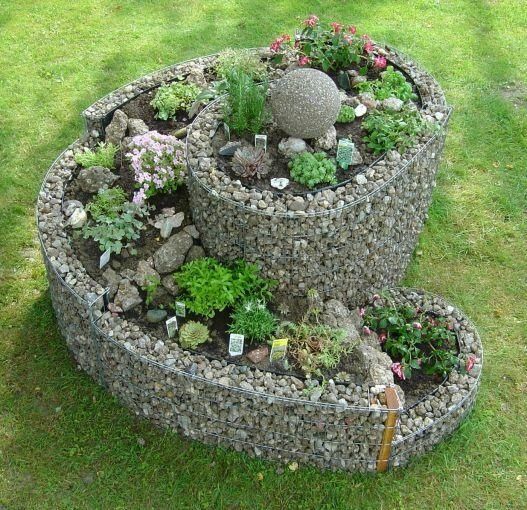 You can use any type of rocks and to build lovely spiral garden where you can plant all the herbs, flower and veggies you wish to grow. We will finish this post with the most useful idea for you. When you are already building this type of garden, think what is the thing that you really need. Flower, herb or food? With planting veggies in a place like this, you can have fresh salad in each period of the day which shows us the benefits of this project.